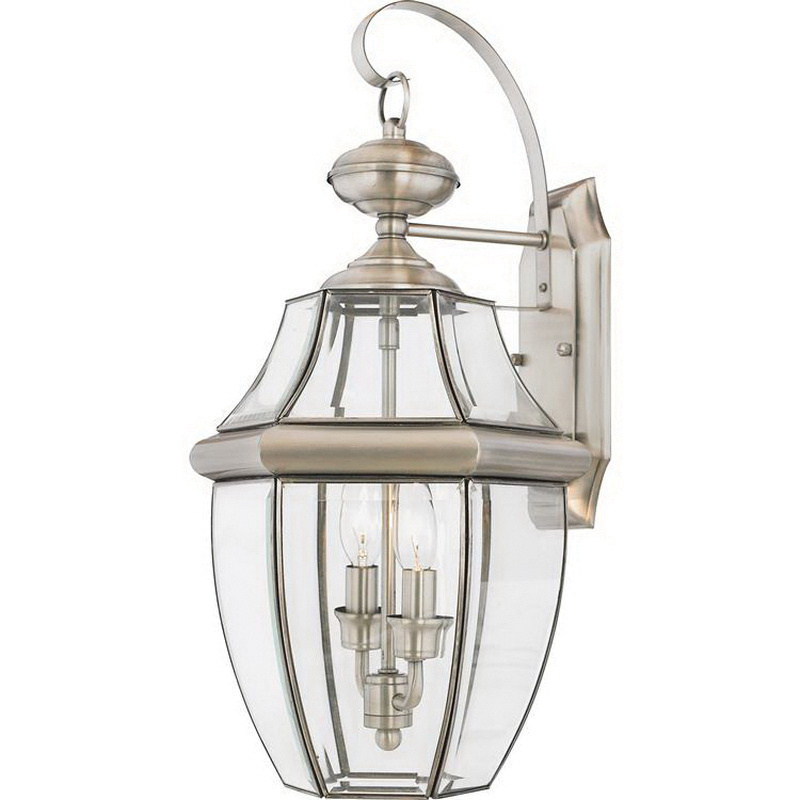 Quoizel Lighting Newbury Collection 120-Watt Outdoor lantern in pewter finish, features brass base construction. The clear beveled glass reflector ensures uniform light distribution. This lantern supports two 60-Watt B10 candelabra lamps that have voltage rating of 120-Volts. It measures 10.5-Inch x 9.75-Inch x 20-Inch. This lantern firmly attaches to the wall/ceiling surface using a square base backplate of size 6.25-Inch x 4.5-Inch. This wall mountable lantern comes with 6-Inch lead wire for easy installation. Lantern is ETL listed.